You'll be spoilt for choice when it comes to deciding where to stay in Tenby, but with top quality holiday accommodation including caravan and camping sites, welcoming B&B's, Guest houses, charming cottages, seafront hotels in Tenby and self catering apartments, there's something to suit everyone. 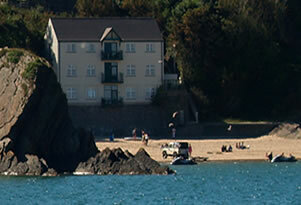 Most of our Tenby accommodation is independant & family owned. Please find below a selection of tenby maps .